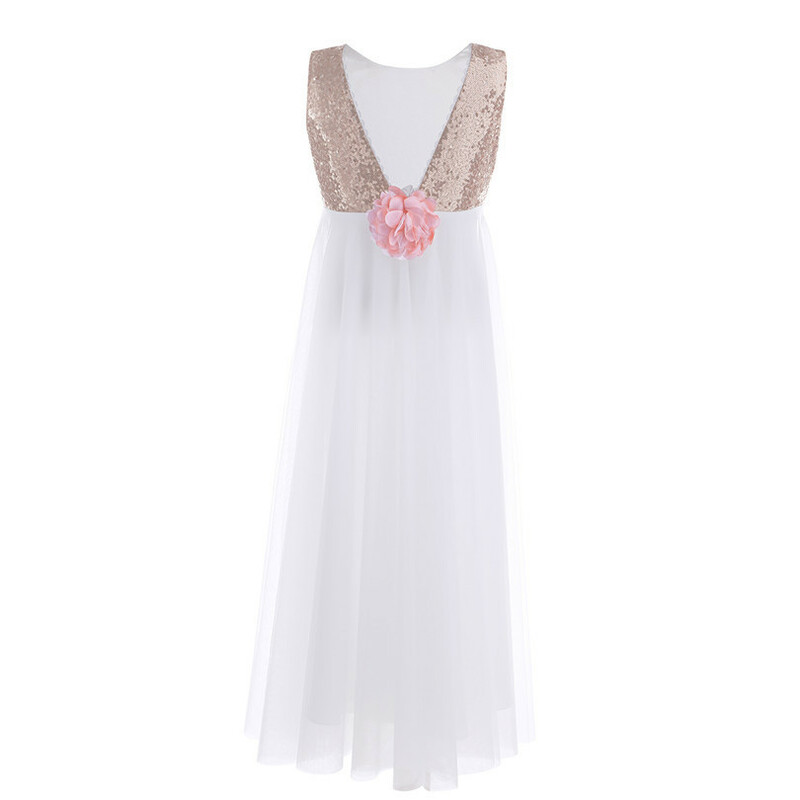 Girls Tulle Sequined Princess Wedding Dress. 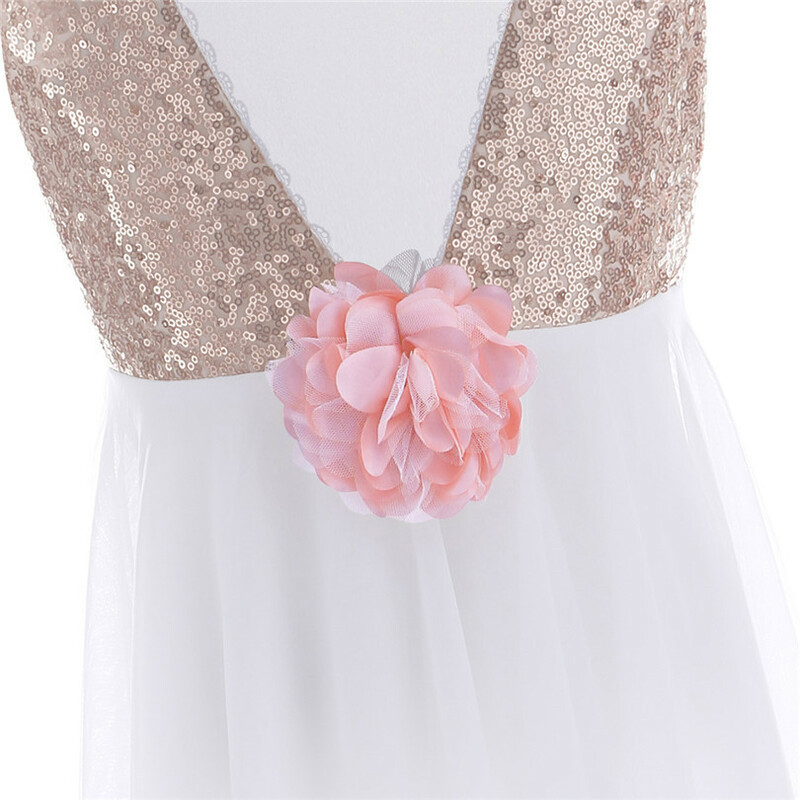 Back waist decorated with a flower pinned brooch. 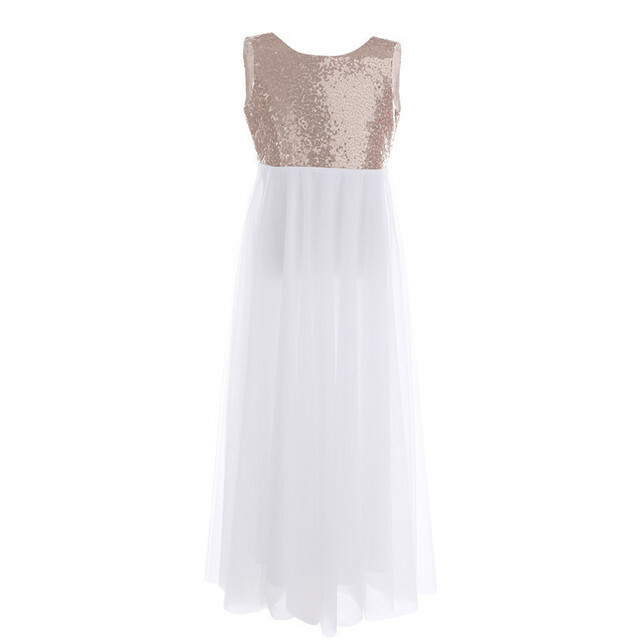 3 layers dress, 2 tulle layers with 1 lining. 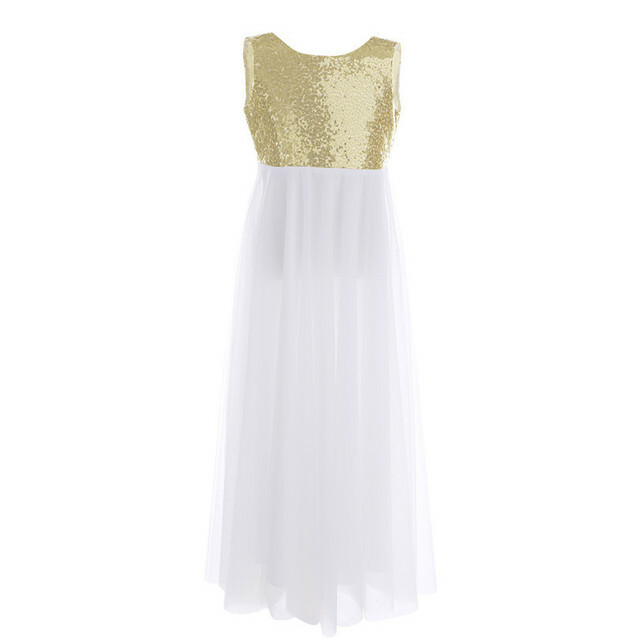 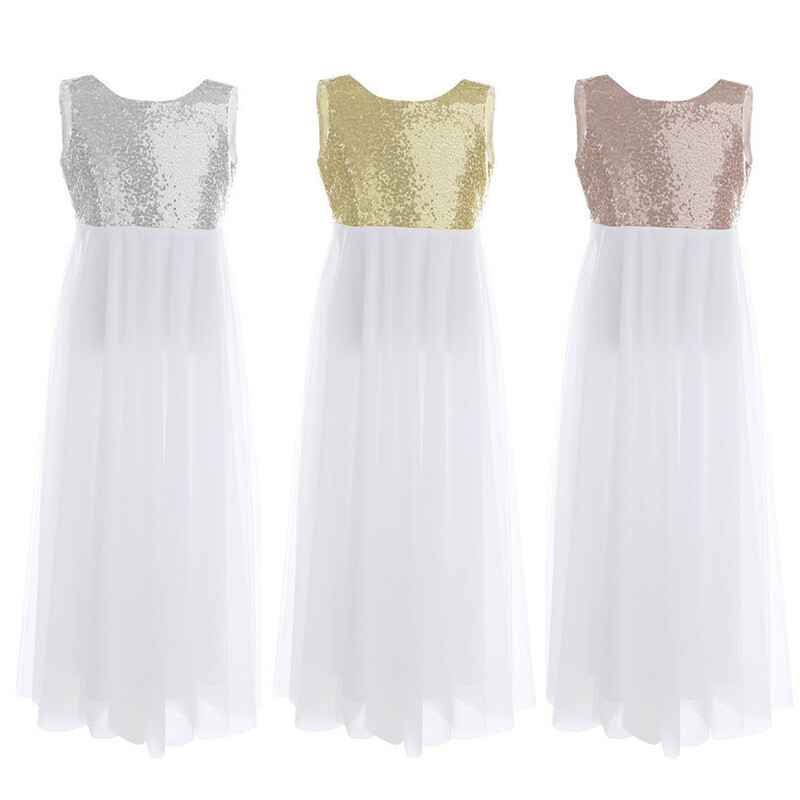 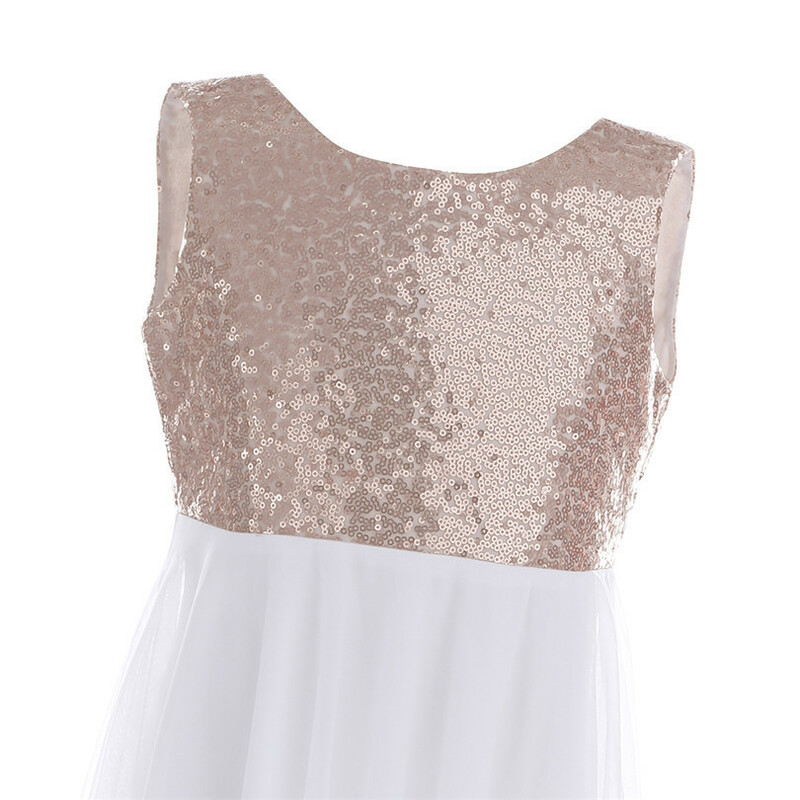 Perfect for party, wedding bridesmaid, pageant, birthday and other special occasions.